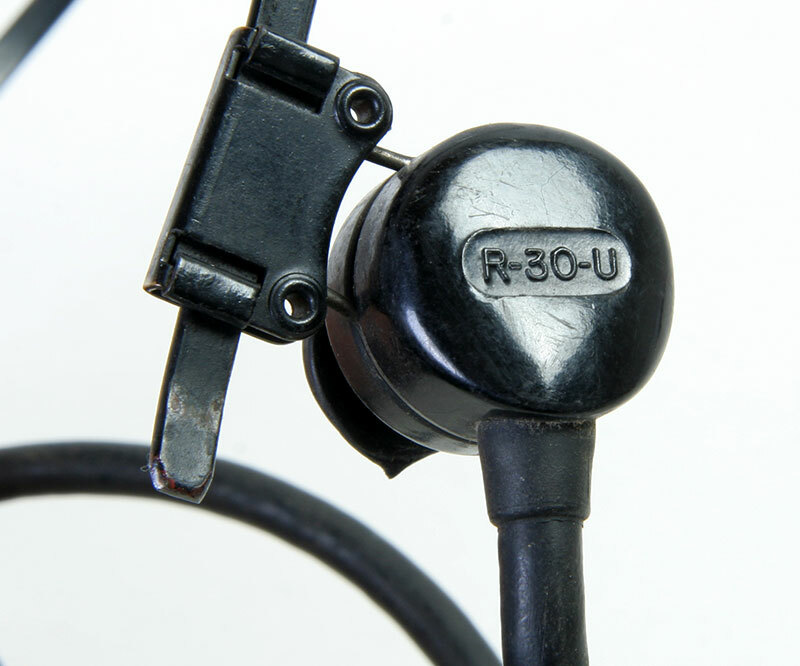 This headset has been used by many U.S. radiosets. Because of the small size, it was also found suitable for use with a helmet. 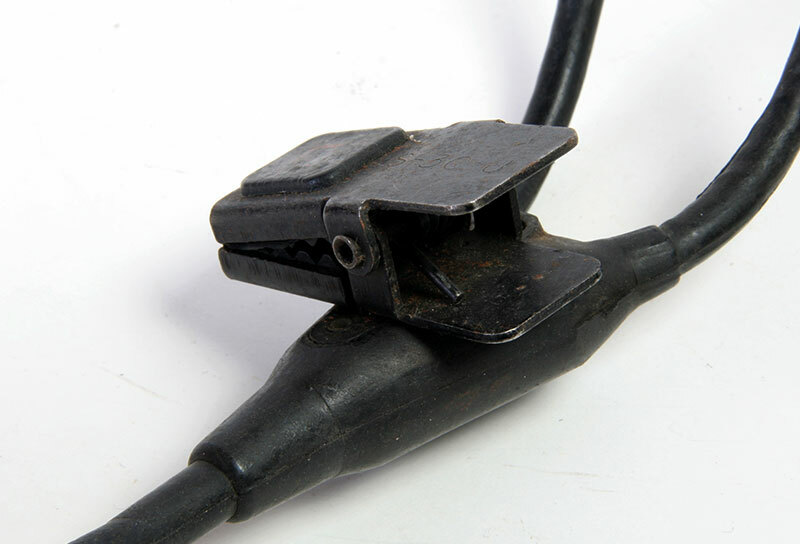 The thin metal bracket and the small receivers provided a lightweight set. 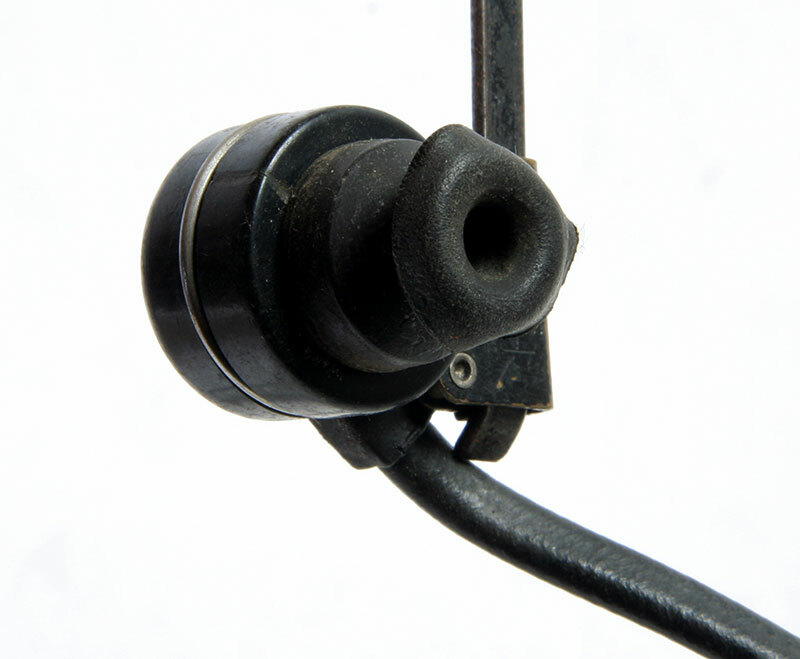 The sensitivity is great, the rubber earshells avoid hearing backgroundnoise . Furthermore, the sound transfer is so well that a sudden loud noise almost rip your eardrums. 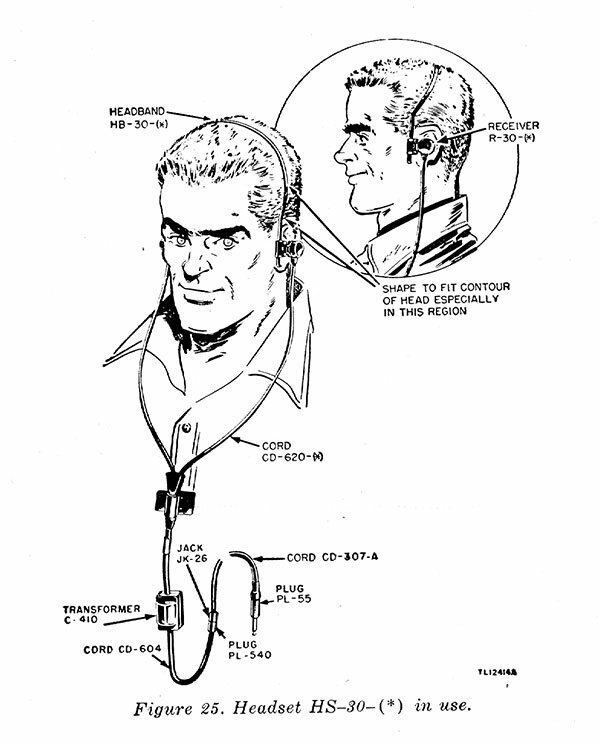 The complete phone with matching transformer and plug. 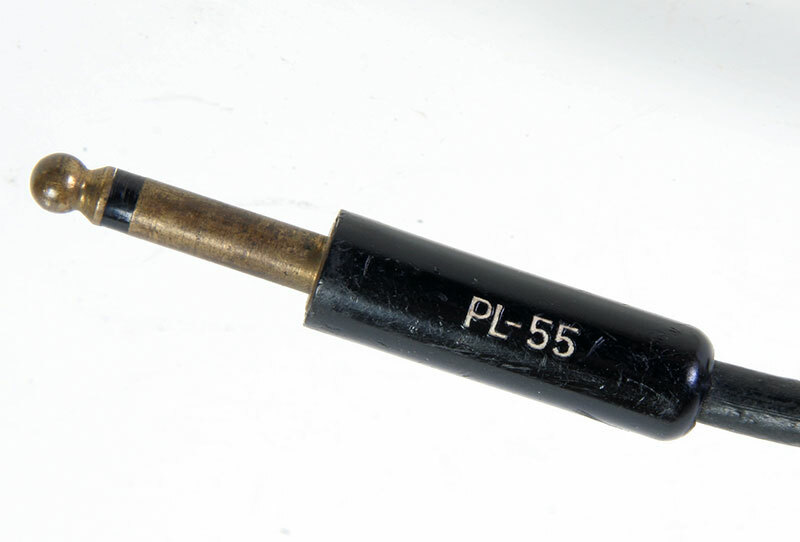 This is a type with a long cord and a long plug. 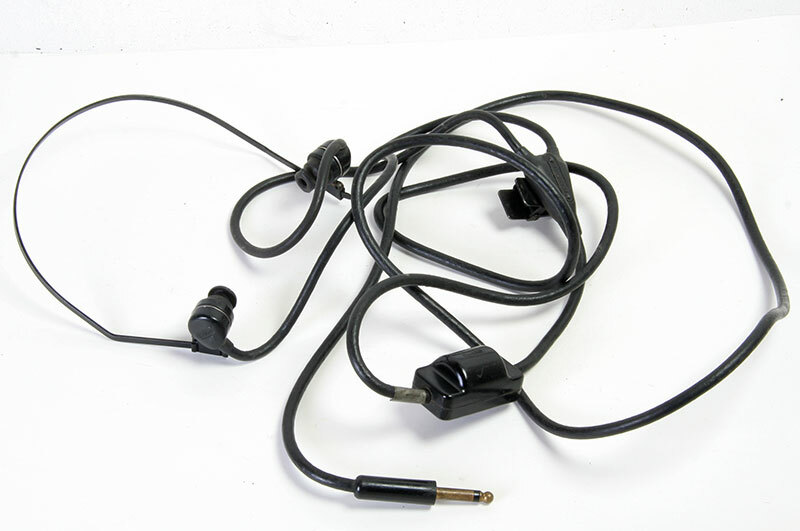 According to the manuals, the headphones should be used in this way. 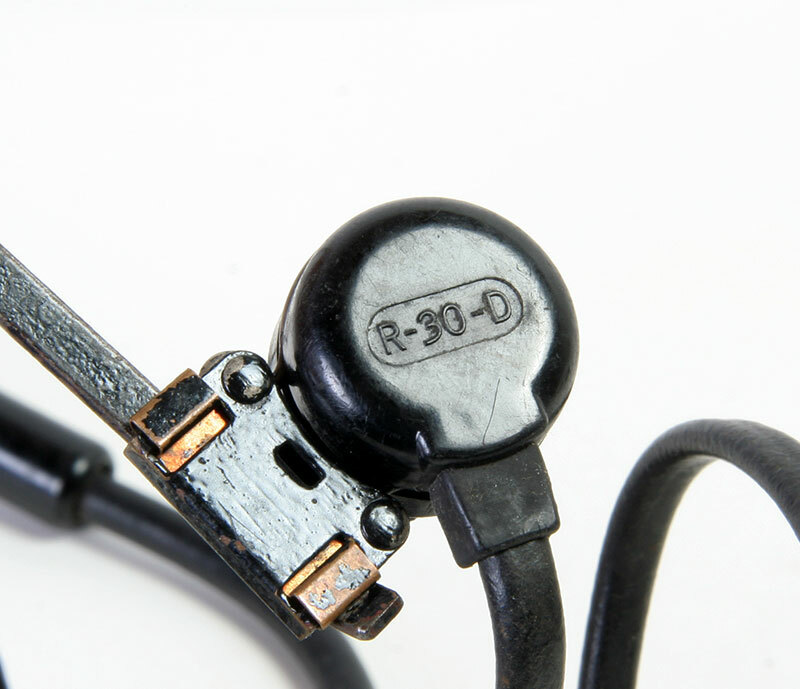 The headphones in this case is equipped with the R-30-U, with thick (obstinate) cables. Top left of the clamp to which the capsule is attached and can slide across the bracket to obtain the proper fit. 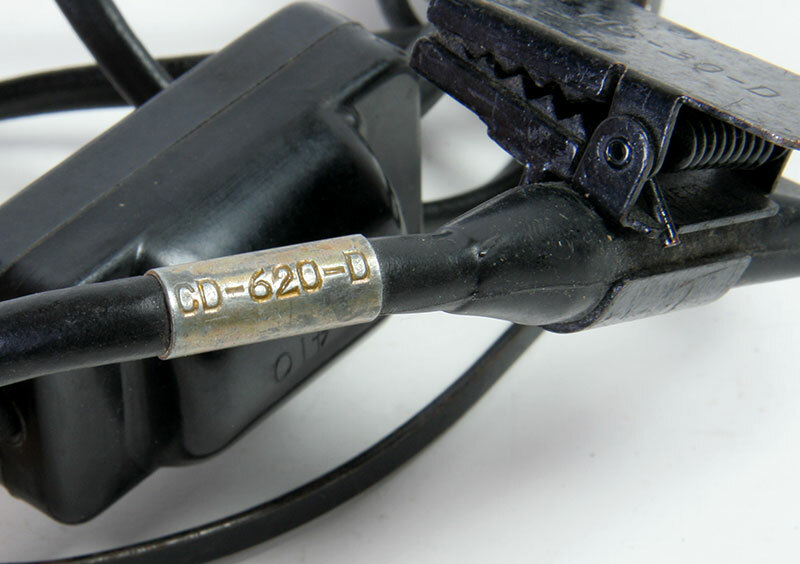 The distributor in the cord CD-620-U, also the clip that you could fix the cable to your clothes, not a luxury. 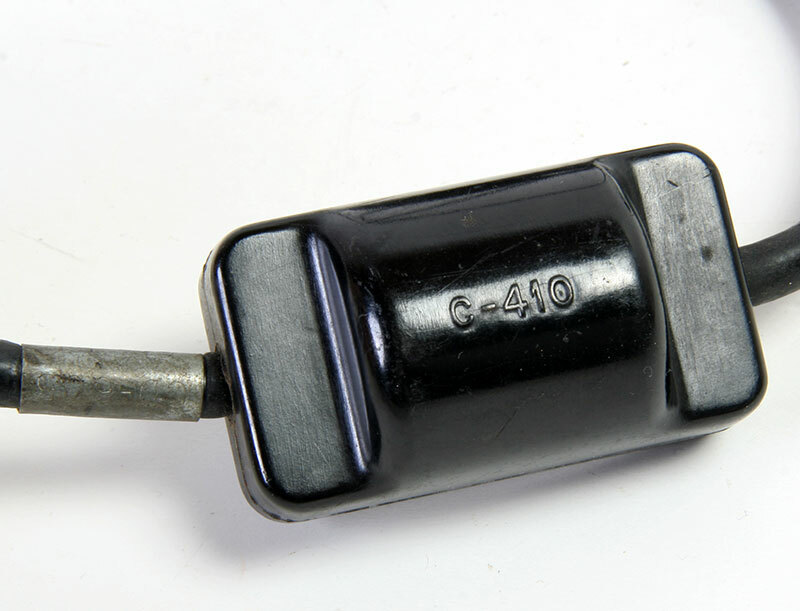 Transformer C-410. There is also a C-410-F, maybe a French version ? 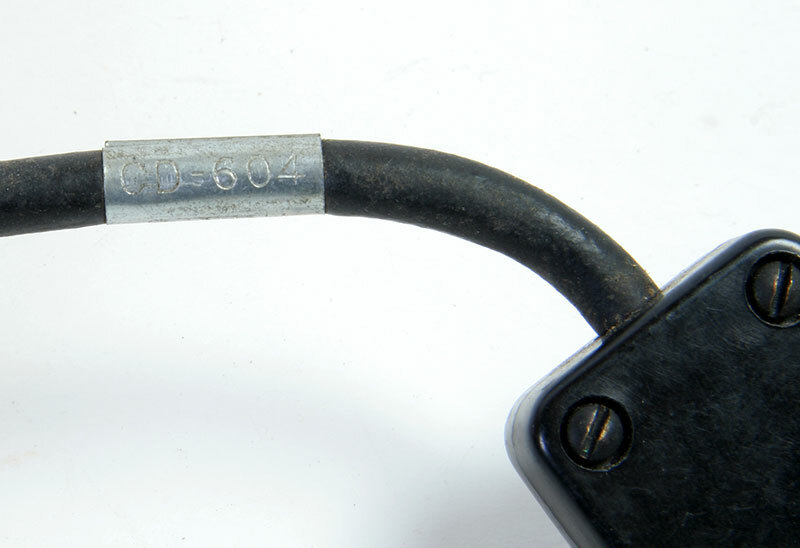 Cord CD-604. 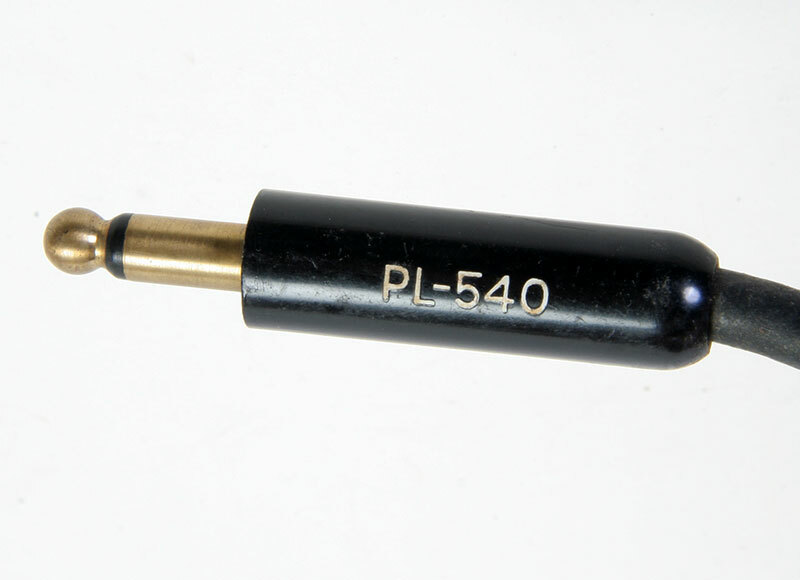 (Short), it was used to plug PL-540 and an extension cable CD-370-A. 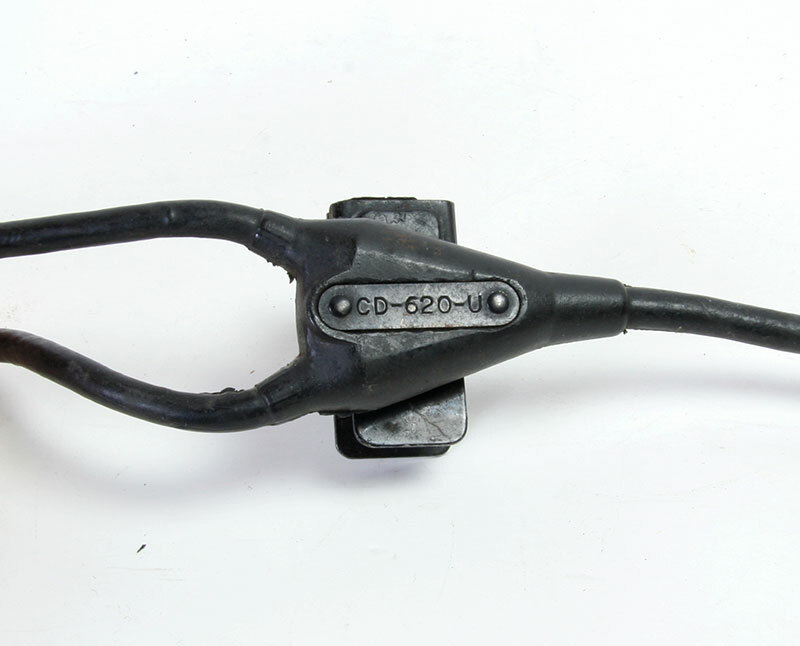 Cord CD-620-D between clamp and transformer with plug PL-55. 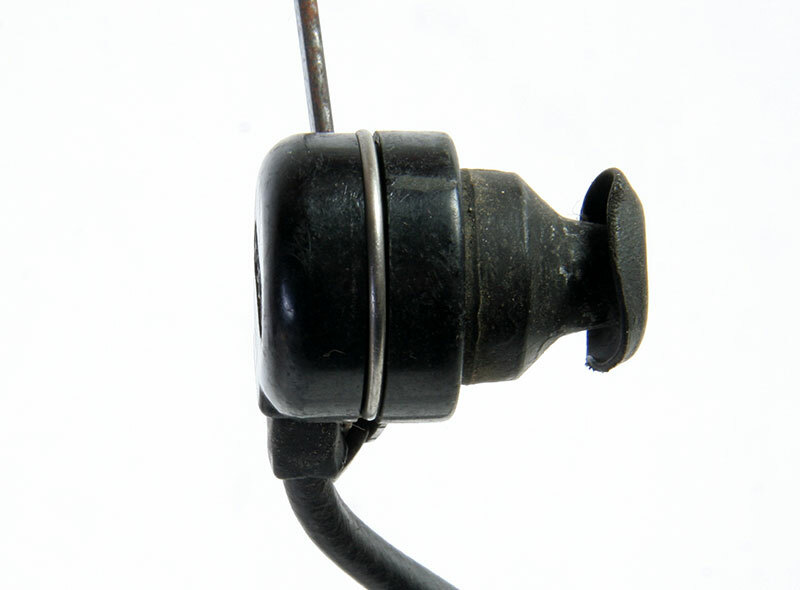 Receiver with rubber shell, these rubbers were interchangeable.